His full name was Mario Joao Carlos do Rosario de Britto a Miranda. He was an artist, a cartoonist, an illustrator, a humorist, a traveler, enjoyed a good life and was a true Zorba. He signed off all his artwork simply as ‘Mario’ and was known to the world as Mario Miranda. The entire country was bowled over by his humor, his wit, his very original style of cartooning and his endearing simplicity as a person. In his life time he created over 50,000 cartoons for newspapers and magazines. Having left behind priceless artwork on the walls of the Madgaon railway station in Goa, public spaces in urban Panjim, and Café Mondegar in Mumbai, his work truly reached out to the common man. As this extraordinary man touched those brick and mortar walls with his very ordinary painting tools, he turned them into nothing less than national heritage. Miranda will always be remembered for giving some of the most unforgettable cartoon characters to this country. Miss Rajni, Miss Neembupani (lemonade) and Miss Fonseca, had become daily staples alongside the morning tea of an entire generation! His love for the land he was born on, and died on reflected in most of his work. He will always be remembered as the cartoonist who gave Goa to the world. 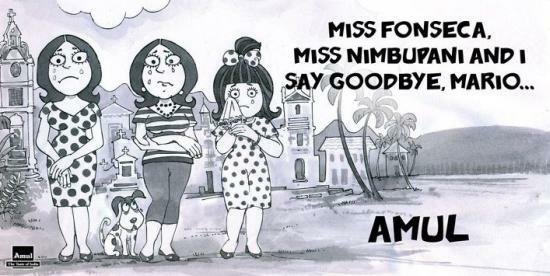 When Amul paid a tribute to the legend on his death, it was a salute from one icon to another, while some loyal fans bid him farewell saying ‘Goodbye Mario, cartooning will never be the same’. True that. 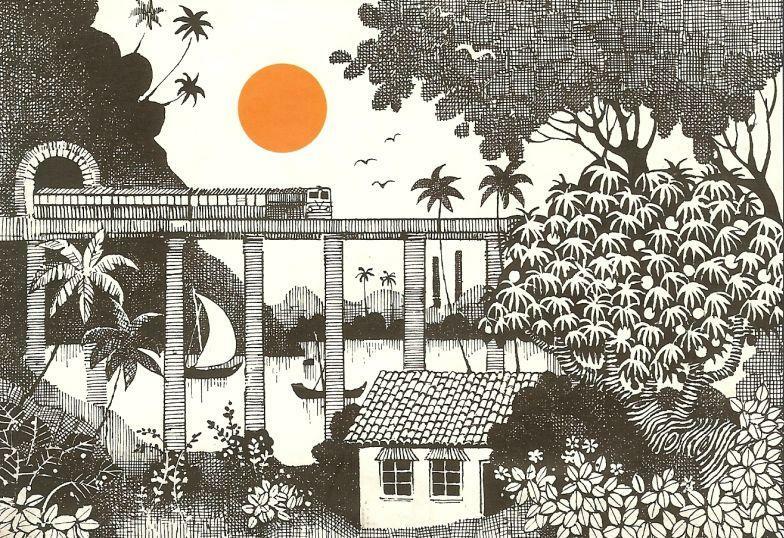 Shop for an exclusive range of Mario Miranda products at Jaypore. Posted in Art, Artist, Goa, History, People of India, Wondrous India and tagged art, cartoon, cartoonist, Goa, icon, legend, mario miranda. Bookmark the permalink.